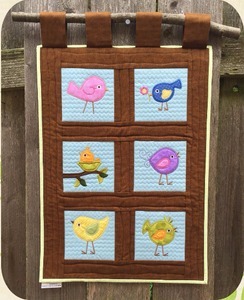 Use these applique designs to make adorable wall hangings, on shirts, towels, etc or even frame them. Designs without the quilted background fit a 4x4 hoop. Designs with the quilted background measure 5"x5" and fit a 5x7 hoop. 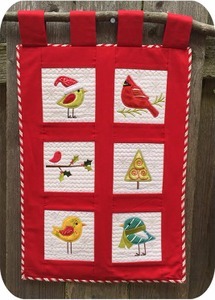 The designs are included in the set with and without the quilted background. 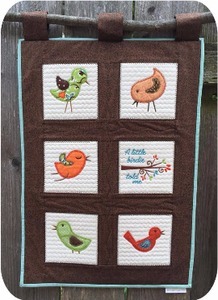 The bird designs have a decorative stitch around the body.